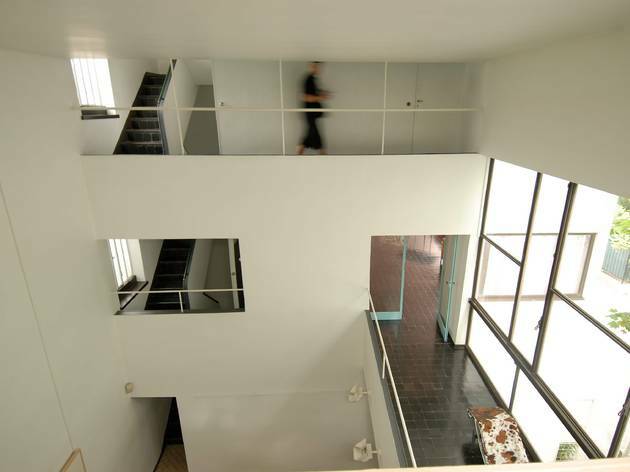 Designed by Le Corbusier in 1923 for a Swiss art collector, this house shows the architect's ideas in practice, with its stilts, strip windows, roof terraces and balconies, built-in furniture and an unsuspected use of colour inside: sludge green, blue and pinky beige. 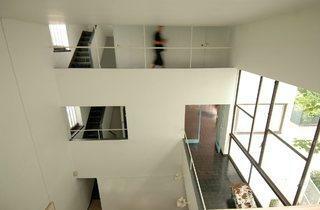 A sculptural cylindrical staircase and split volumes create a variety of geometrical vistas; inside, Le Corbusier's own neo-Cubist paintings and furniture sit alongside pieces by Perriand. Adjoining Villa Jeanneret houses the foundation's library.